Simeon, this great old saint of God, he was a man of great reputation. Oh, today they happen to say, "But wait a minute, sir, I'm a businessman. I'm a doctor. I'm--I'm a professor." You're no better than anybody else. And whenever you think you're better than somebody else, then you're nothing that you ought to be, the Scripture says. See? When you get to a place... You got to... How can you have faith when you're expecting honor one from another? See? 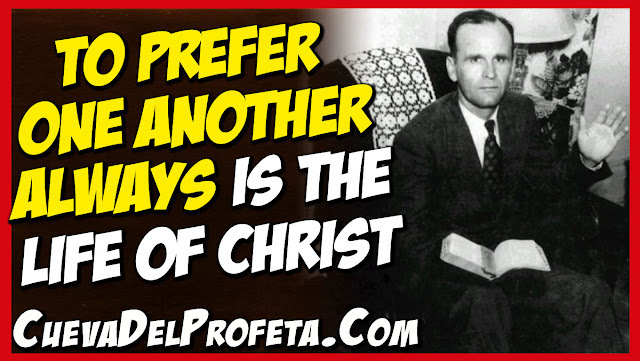 You must prefer one another always. 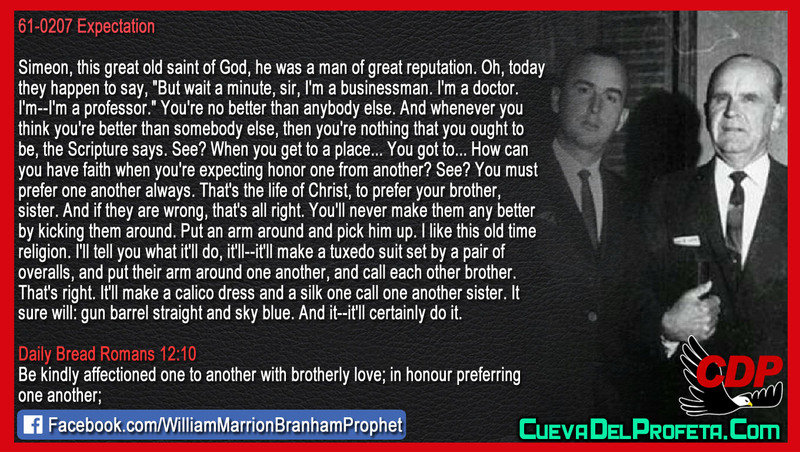 That's the life of Christ, to prefer your brother, sister. And if they are wrong, that's all right. You'll never make them any better by kicking them around. Put an arm around and pick him up. I like this old time religion. I'll tell you what it'll do, it'll--it'll make a tuxedo suit set by a pair of overalls, and put their arm around one another, and call each other brother. That's right. It'll make a calico dress and a silk one call one another sister. It sure will: gun barrel straight and sky blue. And it--it'll certainly do it.